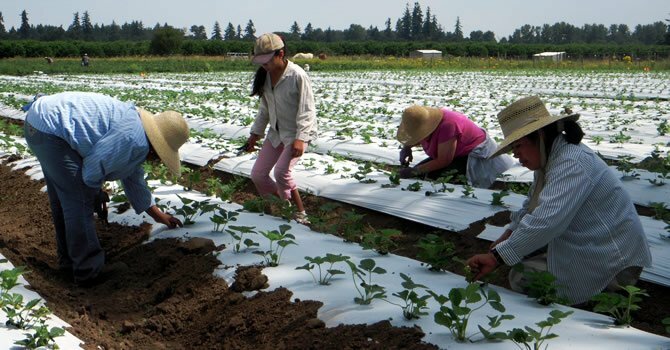 Huerto de la Familia (“The Family Garden”), a nonprofit organization in Eugene, Oregon, supports Latino families in Lane County create and access organic gardening opportunities and start small farm/food businesses via trainings and other support programs. Huerto began in 1999 as a small volunteer project serving six women in one garden plot and expanded the program in 2004. The organization has served more than 400 parents and children since its inception, and currently works with 85 families at six community gardens throughout Eugene and Springfield. All families live at 100% to 150% of the federal poverty level. Each year we also offer a 12-week business class. Our work on food equity, food security, and economic empowerment via food and farm businesses has been recognized as valuable and innovative. WHY Hunger awarded Huerto de la Familia the Harry Chapin Self-Reliance Award in 2009 and, in 2011, The Small Farmers’ Project won the Heifer International Golden Program Award for USA Country Programs. Most recently Huerto de la Familia received the Justice of Eating Award from Food for Lane County.